STUDY | Spend the week studying Luke 1:11–20. Consult the commentary provided and any additional study tools to enhance your preparation. LANDING POINT | I am God’s messenger sent to bring good news to others this Christmas. The Christmas story is one of the most familiar in all the Bible. The events surrounding Jesus’s birth have been celebrated for centuries as a pivotal moment in history. When you read the story and listen to the hymns, you see one group playing a pivotal role—angels. As God’s messengers, they came bringing good news to the world. Jesus has arrived, and He has come to rescue sinners and bring them back to God. Who and what are angels? What are they like? What’s their role? The belief in angels (and their counterpart, demons) is predominant in our culture. Yet, for many, their beliefs about angels come more from popular culture than what’s in the Bible. 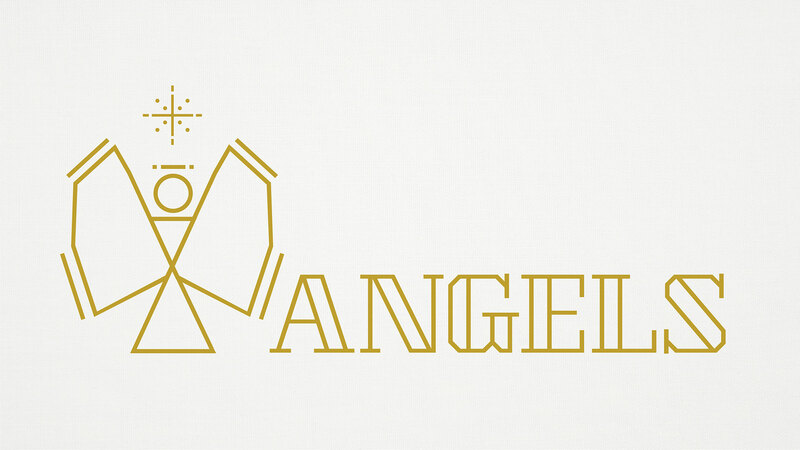 In this series, we’ll take a look at angels and what the Bible has to say about them. We will also look at the message they came to deliver at the first Christmas. Q: How are angels typically depicted in popular culture? Q: Why do you think people are fascinated by angels and demons? A priest named Zacharias and his wife, Elizabeth, were righteous people and wanted a child, but they were unable to conceive. As part of his priestly duties, Zacharias was selected to go into the temple and burn incense on what felt like a normal day. A throng of people waited outside. The farther he walked inside the temple, the less he could hear the noise of the crowd. Suddenly, standing beside the altar of incense was the angel, Gabriel. Nearly scared to death, Zacharias stood in shock. This was no ordinary day in the temple. Read: Luke 1:11–20. Why do you think Zacharias was afraid? Q: Do you have any personal experience with angels or encounters with the supernatural world? If yes, explain. Q: What does the description of Zacharias’s son, John the Baptist, tell you about his character and role? Q: Why did Zacharias doubt Gabriel’s message? What is an angel? Angels are spiritual beings who serve as agents of God to fulfill His purposes. Gabriel had good news for Zacharias. Not only would he have a son, but the child would be a forerunner of Jesus Christ, the One to come. His job would be to prepare God’s people for the coming of the Messiah, the Savior King, whom God promised to send to save God’s people from their sin. That promise was reiterated through the ages through patriarchs, kings and prophets. Finally, the time had come for God to fulfill that promise. The angel Gabriel was God’s messenger, and so are you. Today, God has a message of good news for you to share. Jesus has come to bring God’s people back to Him. Q: How would you deliver God’s message to Zacharias in your own words? Q: What are some specific ways you can be God’s messenger to others this Christmas season? The good news of the gospel is good news only when we see it in light of the bad news. The bad news is sin. It has infected the entire human race. It makes us choose to live life our way instead of God’s way. Living this way puts us on a path toward death and destruction. God saw our condition and did something about it—He sent His Son, Jesus. The Savior has come to make us sons and daughters of God, not sons and daughters of sin and death. This is the good news of the gospel. John the Baptist’s message was, “Prepare your heart. Be humble, turn from sin and turn back to God.” When you turn to God and put your trust in Jesus, God forgives you and changes your heart through the work of Christ on your behalf. Q: Why is it necessary to understand the bad news in order to appreciate the good news of the gospel? Q: What’s one way you can prepare your heart and turn to God this week? In each lesson we will highlight a key word for Advent season and its significance. Select 1 question from this section to ask your group. Advent is a tradition that has been observed by believers for centuries. The term advent is Latin, and it means “coming.” In the weeks leading up to Christmas, we observe Advent with hopeful expectation and preparation for the birth of the Savior and His second coming. Advent is a time for us to look back and look forward. We look back on what God did on that first Christmas when He sent His Son into a world destroyed by sin on a mission to redeem it and redeem us. We look forward to the day Christ will return and fully redeem His people and all of creation. As God’s people, we have every reason to look to the future with hopeful expectation. Q: Do you look to the future with hopeful expectation? Why or why not? Q: As a group, make a list of reasons for every believer to be hopeful for the future. Ask God to prepare your heart this Christmas season. Ask for humility and a desire to turn to God. Pray for God to bring to your mind a specific person who needs to hear the good news of Jesus Christ. Read 1 Peter 1:3–5 and reflect on how this passage gives you hopeful expectation for the future. Ask the group to share any stories or lessons learned where they see God at work. “The name [Zacharias] means, ‘The Lord remembers.’ The people had forgotten God’s promises, but there was a remnant who held firm. A priest, who had no prominent role in public life, lived up to his name and still believed in God. He was committed to the ancient promises and was married to a humble woman who believed them too. 1. Steven L. Cox, “Angel,” ed. Chad Brand et al., Holman Illustrated Bible Dictionary (Nashville, TN: Holman Bible Publishers, 2003), 66–67. 2. Don Stewart, “Are Angels Organized in Ranks,” Blue Letter Bible, accessed November 19, 2018, https://www.blueletterbible.org/faq/don_stewart/don_ stewart_10.cfm. 3. For more on names of angels, see “What Are the Names of Angels in the Bible?,” Got Questions, accessed November 19, 2018, https://www.gotquestions.org/ names-of-angels.html. 4. R. C. Sproul, A Walk with God: An Exposition of Luke (Great Britain: Christian Focus Publications, 1999), 16. 5. Robert H. Stein, Luke, vol. 24, The New American Commentary (Nashville: Broadman & Holman Publishers, 1992), 75. 6. Walter L. Liefeld and David W. Pao, “Luke,” in The Expositor’s Bible Commentary: Luke–Acts (Revised Edition), ed. Tremper Longman III and David E. Garland, vol. 10 (Grand Rapids, MI: Zondervan, 2007), 56. 7. Steven L. Cox, “Angel,” ed. Chad Brand et al., Holman Illustrated Bible Dictionary (Nashville, TN: Holman Bible Publishers, 2003), 67.